Decision practices drive 95% of business performance. Are yours good enough? Cloverpop solves decision-making pain at your company. Stop rehashing decisions by setting up feedback loops to quickly catch and fix misalignments. Innovate faster and improve buy-in when everyone understands what was decided and what is expected. Add more perspectives without slowing things down. Cut wasted meeting time. Empower the edges. 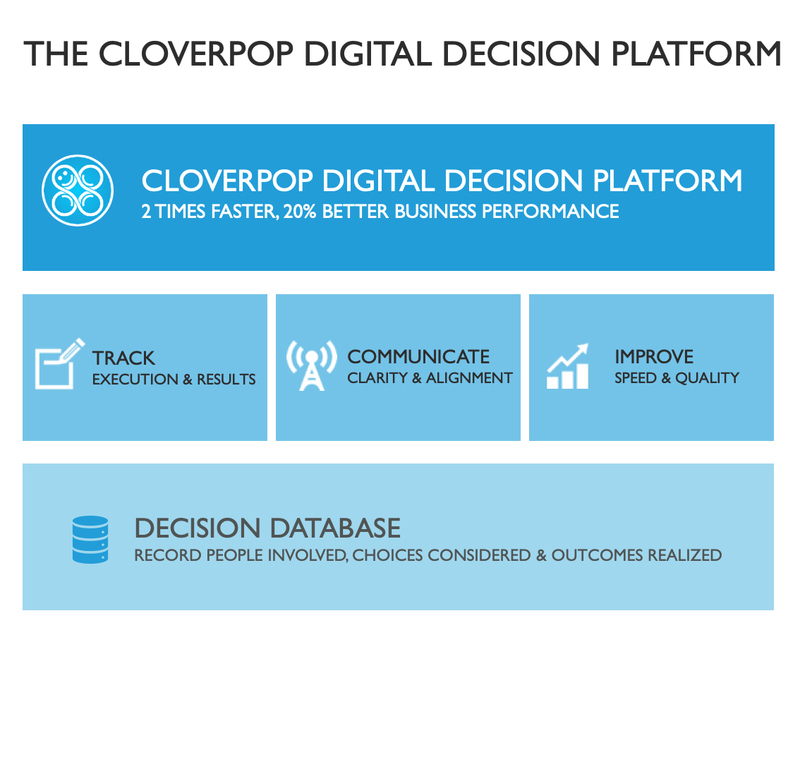 Here's how Cloverpop helps transform your decision practices. Our research identified seven key decision practices that distinguish top performing companies and set practical benchmarks for your company to improve and compete. 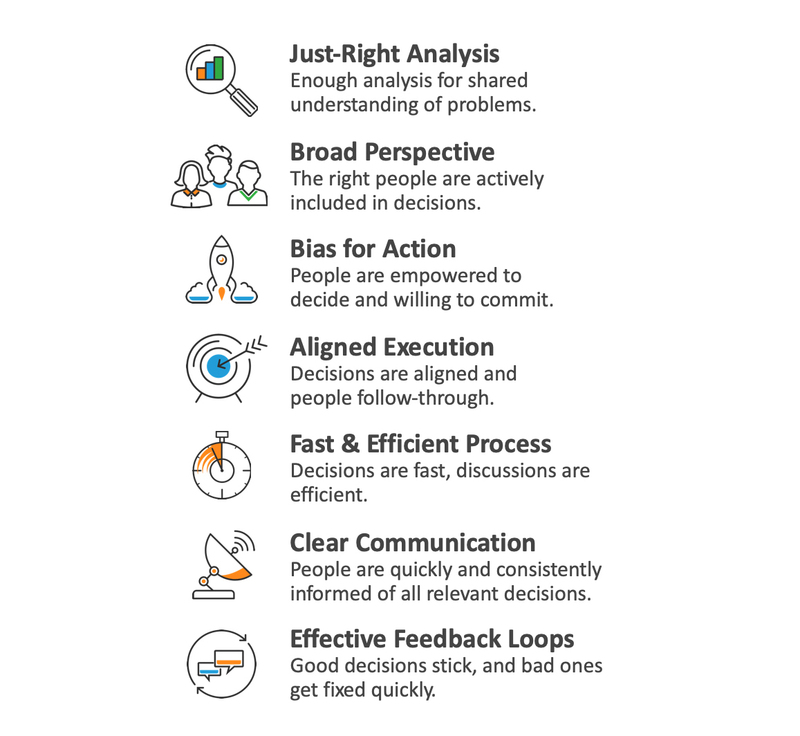 These seven decision practices describe and measure how people in the most effective and innovative companies identify, make and execute business decisions in their daily work. Very few companies excel at all seven practices, and all companies can improve. Cloverpop can help your company leaders make that happen. Benchmark your company across the seven critical decision practices to identify top problems and define a plan to improve. Our Decision Practices Diagnostic takes just 5 to 10 minutes for your managers and leaders to complete. 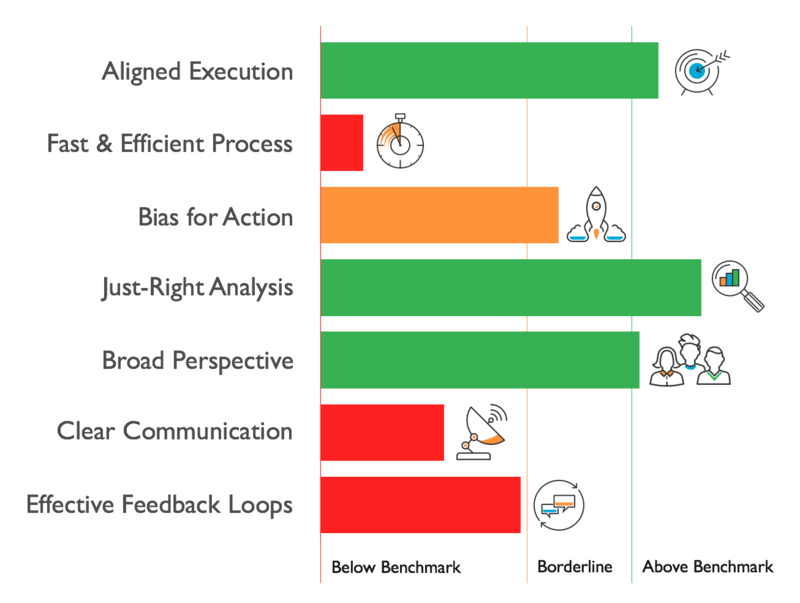 You’ll be able to compare your organization’s decision effectiveness to performance benchmarks, diagnose the challenges holding your teams back, and come away with a customized action plan to target the highest impact improvements. Learn and implement proven high-performance decision practices with training customized for your company. 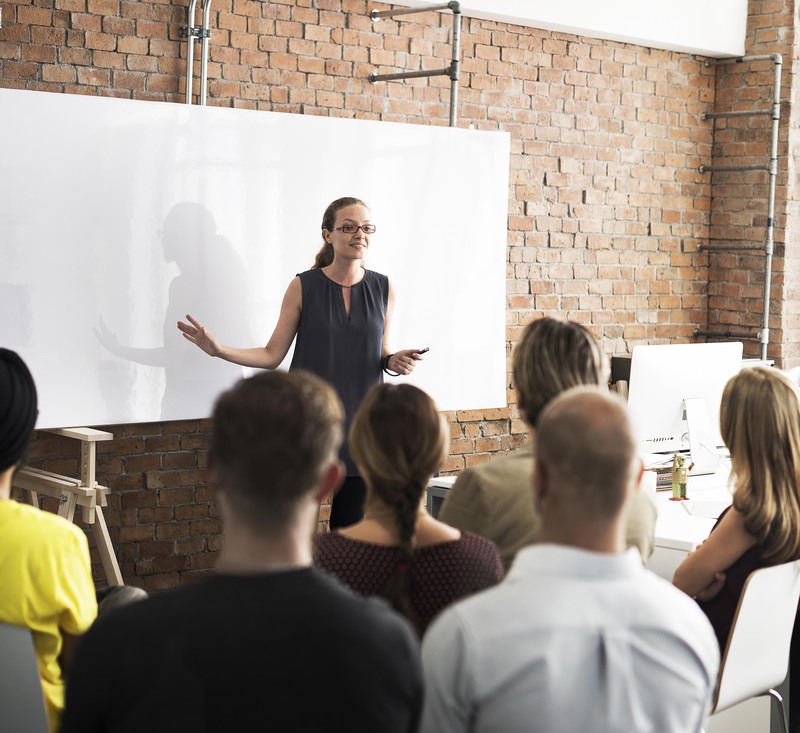 Based on your diagnostic results and action plan, Cloverpop will provide training and one-on-one coaching to help your leaders improve the key challenge areas and level-up your entire organization. Our decision practices training for leaders will improve your collective understanding of proven best practices and give everyone hands-on experience applying them. Cloverpop’s decision platform simplifies and supports good decision practices, enabling companies to scale those practices across their organizations. The platform enables you to quickly communicate decisions to stakeholders to get impactful feedback when people aren’t aligned. Cloverpop also makes it easy to share those decisions out to the broader organization to keep people in the loop. With a single transparent place to track decisions, everyone knows what was decided and why, and your teams can execute faster.